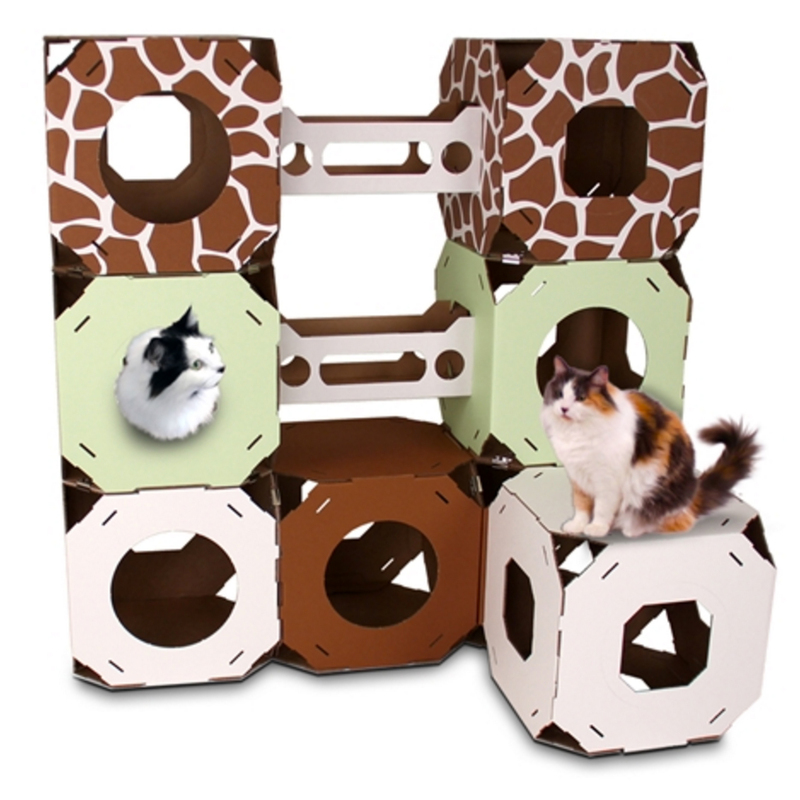 Catty Stacks are award winning and patented condos for cats. They are environmentally friendly and are coloured using vegetable-based inks only. The Catty Stacks system works by securing the boxes to each other to form a stable climbing structure that can be easily moved and rearranged. Use Catty Stacks to help maintain your cat’s interest and promote the overall healthy and fitness of your feline friend. You can’t buy your own Catty Stacks as it’s sadly not available in the UK at the moment. Cat House System is currently looking for UK distributor, we will keep you updated.